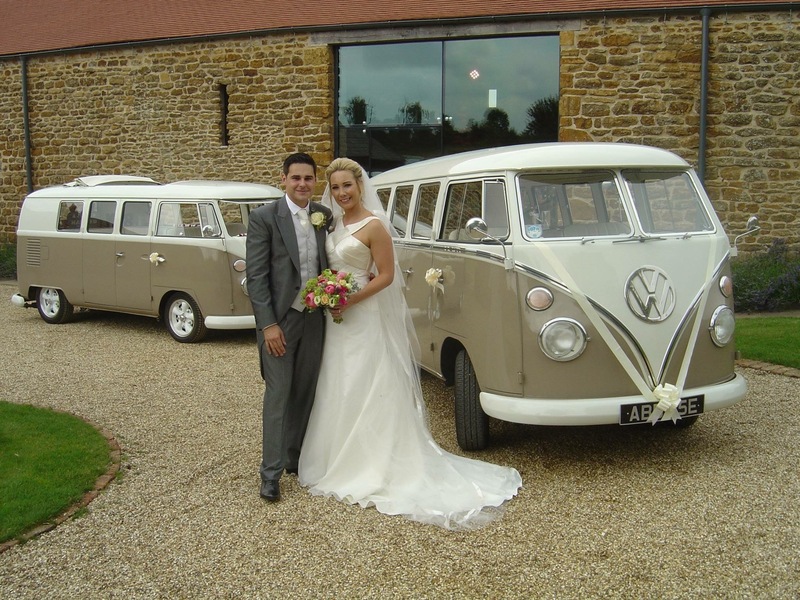 At Special Day Cars we are personally Volkswagen wedding car enthusiasts. With our passion combined with our dynamic fleet, we offer a fantastic chauffeur driven experience. We have researched and compared prices and we know we cannot be beaten on price. 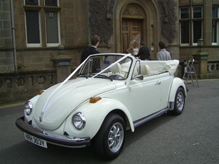 We also know that the Volkswagen Beetle has an unrivalled place in popular culture and with its cult status (along with that of the VW Camper van) they are recognizably distinctive and charismatic cars, perfect for a wedding car hire. We understand the importance of personalising your day. It is the unique and finer touches that make your day special, and it is these personal details that shine through to make the day remarkably memorable and charmingly successful. 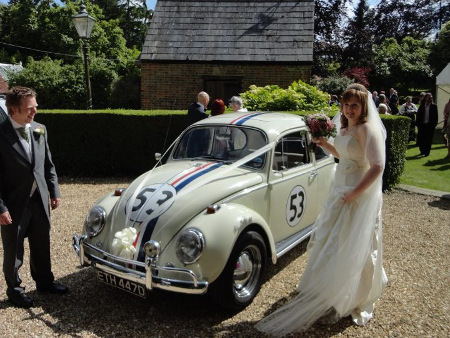 If you wanted an even more quirky idea you could go for a ‘Herbie’ Love Bug. Your ‘something borrowed’ could be a 1963 replica of the lovable film star. 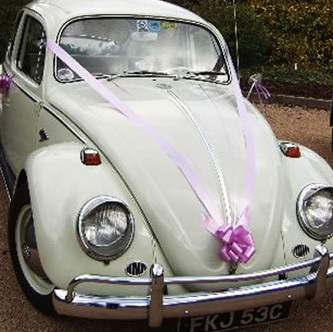 For the fun and quirky this is ultimately the most popular chauffeur driven wedding day car. 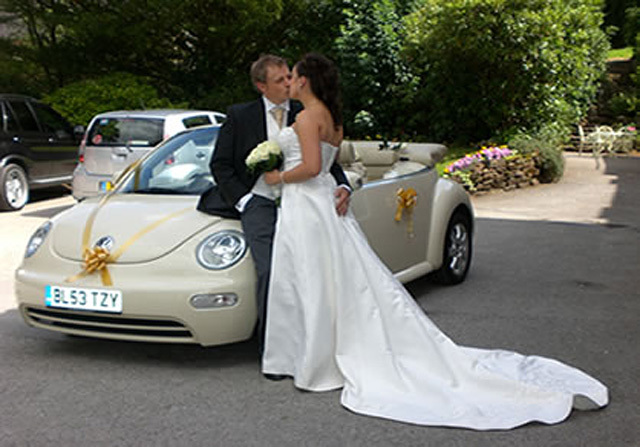 Looking to make an impact with the perfect wedding car? We can help you do that. The perfect chauffeur driven wedding car for weddings in Bedfordshire and surrounding counties.